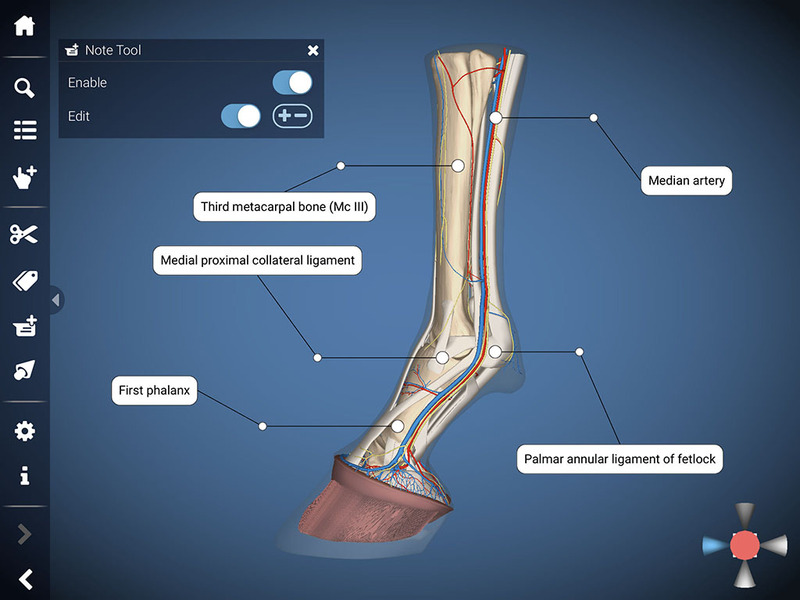 Hoof Explorer is an interactive 3D model of the equine distal limb. Scientifically accurate and reviewed by experts, it offers a vivid teaching, learning and presentation aid that is widely used by farriers, veterinarians, groomers and horse owners. 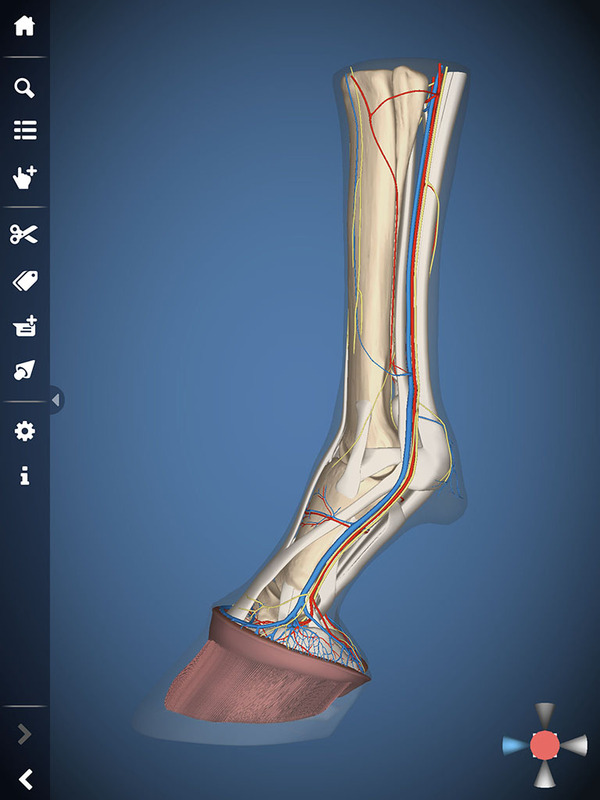 Hoof Explorer offers more than 150 anatomical structures that can each be customised to match your own visual preferences. Transparency, colour and fading options can be adjusted for every part of the model. 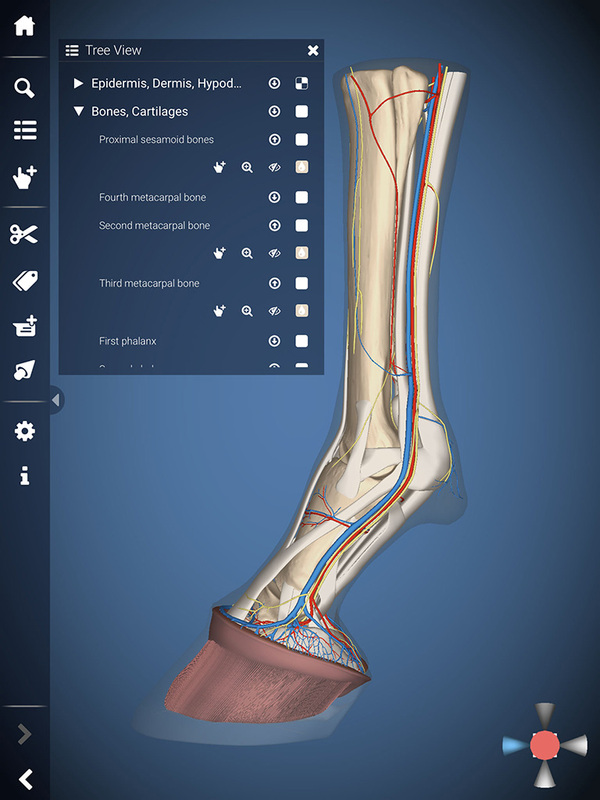 This way, the app enables you to acquire and refresh anatomical basics, right down to gaining expert knowledge. 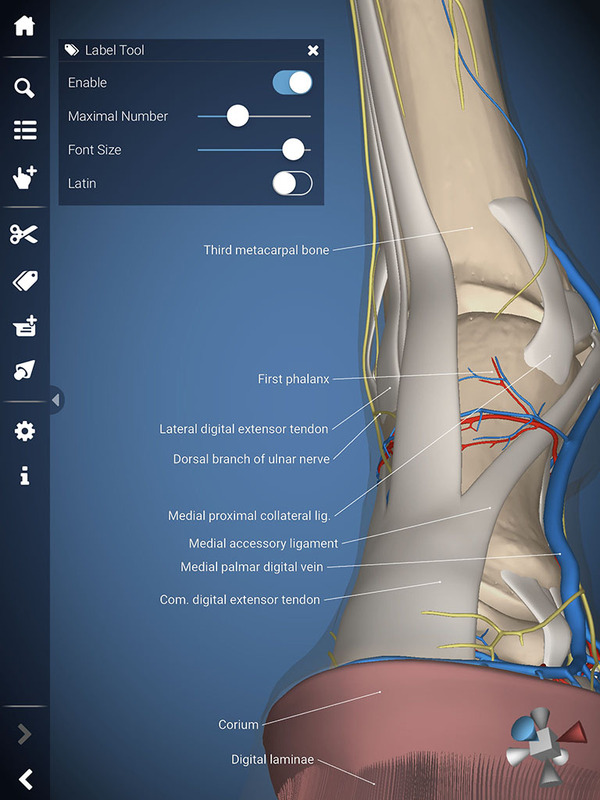 Sophisticated bonus features allow didactically valuable 3D views in a straightforward and quick fashion: custom cross sections in any direction, automatic labelling of anatomical parts, inserting individual text or placing 3D arrows. 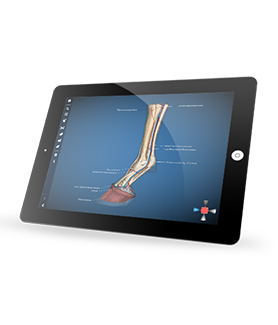 Veterinarians and farriers profit from Hoof Explorer as a valuable communication tool, both between peers and horse owners. The need for medical treatment, possible therapy options or apects of hoof care can now be illustrated easily and in a vivid way.